Think about an athlete. To excel in any sport, whether individual or team, an athlete does not simply walk out on the playing field and compete. There is an incredible amount of work that goes into being a top-notched athlete: the training; the nutrition; the psychological work; and the support of those around the athlete. By the time the athlete’s event takes place the idea of “winning” the event is absent from the athlete’s mind. Instead, the athlete’s focus is on breathing, on form, on the mechanics of how their body moves. If the athlete does all the little things well, while not everyone can win, the athlete will realize success. As a baseball and basketball coach my message to the players was to focus on the small things, the fundamentals that go in to the children I was coaching make a basket, hit a ball, make a beautiful pass to a teammate, or field the ball and make a good throw to a base to get a runner out. I taught them that if their thinking was on winning then they were missing everything that went in-between walking on the field or court and having success. If they were focusing on the end it was not possible to learn the small things that, put together, created the best opportunity for them to have success. My coaching approach was to train them to understand that if they, as individuals, did the little things right, the fundamentals, then more often than not the team would have success. If one or more of the individuals had a different focus and did not work in concert with the others, I could guarantee the team would not have success. There are strong similarities between the commitment required to have excellence as an athlete and excellence as a Collaborative Practitioner. The key similarity is that of a commitment to excellence. My commitment to collaborative excellence includes a commitment to spend part of each day on issue(s) related to Collaborative Practice. This daily work may be as short as a minute or two, it may take the form of my elevator speech with someone I meet during the course of the day, it may be a pre-brief, Team meeting and de-brief that takes three hours, it may be a full day or half day training, or a Tweet or posting on one of the listservs. Doing some aspect of Collaborative work each day keeps me growing as a Collaborative practitioner. Part of the excitement of Collaborative Practice is that I accept, and cherish, the fact that I will never know everything there is to know about Collaborative Practice. There will always be something to learn, whether from a book, a video, our clients, other Collaborative practitioners, or other sources. There are always going to be more, and different, questions to be asked. There is always room to grow. This brings me to a lunch I had last week with a fellow Collaborative Practitioner. My companion and I last had lunch a year ago. He continues to want to incorporate more Collaborative work into his financial practice and he shared with me what he has done over the last year to achieve this goal, which included being interviewed on the radio and purchasing radio spots. While he did not ultimately sign off on the Participation Agreement, on one case he was brought in on a Collaborative case for a consultation on whether a Financial neutral was needed. He also indicated that he was cutting back his Practice Group participation as he felt he was not getting value (cases) in return for his participation. While my lunch companion was frustrated by what he saw as a lack of results, I was impressed by the progress my companion had made over the last year. To him, his progress was slow and reason for him to consider stepping away from Collaborative Practice. To me, his progress was slow and encouraging, a reason for him to continue working toward his goal of increasing his Collaborative work. I greatly appreciate the gift given to me by my lunch companion. By asking me out to lunch, sharing his struggles, and listening to my thoughts I learned more about Collaborative Practice. These discussions, whether done over lunch, in passing, or in structured settings such as trainings or meetings, offer tremendous learning opportunities. As Collaborative Practitioners we need to recognize the value of these personal interactions and the opportunities they present for creating Collaborative Community and developing our Collaborative skills. Once that recognition takes place, we need to act on that awareness and integrate these conversations into our day, week or month. Whether it is lunch or tea or carpooling to practice group meetings, the dialogue we have with each other is an essential part of the work we do. If we are unable to dialogue outside of casework, how can we expect to be able to dialogue during Collaborative cases when our clients depend on the professionals being able to work and communicate together? Our individual and collective Collaborative growth requires both large and small practice groups. Involvement in practice groups is essential to our collaborative work. Large practice groups have a different purpose than small practice groups. One of the central roles that large practice groups play is to create a gathering place that facilitates the dialogue of a large group of practitioners on a large cross-section of topics. With greater resources these large practice groups are essential to Collaborative Practice as they are able to organize international, national and regional trainings that bring in experienced, internationally-known Trainers who present information that may not otherwise be readily available in that area of the world. These presentations generate a “buzz” wherever they are held, a dialogue that is fueled by new thoughts and new information. After attending the large practice group events the attendees take the “buzz” that was generated there and bring that energy back to their small practice groups. The small practice groups are where we create close relationships with other local practitioners with whom we will be doing casework. Whereas large practice groups cover a large area of Collaborative topics and may meet as a group only once or twice a year, small practice groups meet more frequently and have a narrower focus. DO be a member of IACP and your State’s umbrella Collaborative Practice Group. Our large Practice Groups bring incredible value to Collaborative Practice. In addition to having greater resources that allow them to bring in a variety of trainers, these groups provide an opportunity for all of us to expand our dialogue regarding Collaboration from our local groups to a larger, more diverse, arena. DO limit your involvement in small Practice Groups. Be intentional in your selection of which Practice Groups to be involved with as it is important that you have balance in your Collaborative work. If you are attending too many meetings in a month, this limits your time for other studying, casework, taking time for yourself so that you can bring your whole self to your cases, and for reaching out to other practitioners for individual connection. It also may limit your ability to process and integrate the work that you are doing in the practice group meetings, making your practice group involvement counterproductive, rather than being part of your work of creating yourself as a well-rounded Collaborative Practitioner. DO be involved in practice groups that meet your needs and interests. A fundamental purpose of all practice groups is dialogue. It is through dialogue that most of our learning takes place, trying out new ideas and asking questions on topics that are a challenge. If the dialogue for the practice group you are attending is not working for you, join another practice group where it does. If you are interested in an aspect of Collaborative Practice that is not represented by other available Practice Groups in your area, start your own practice group where that dialogue can take place. DO be involved in Practice Group meetings. Practice Group membership is not just showing up to the meetings. It is being on time, doing your homework, asking questions, making presentations, and taking other steps to share your passion and interest in the work we do with others. DON’T join any practice group, large or small, for the primary purpose of getting referrals for collaborative cases. This is an expectation most Collaborative Practitioners have after completing their Basic Collaboration Training. That expectation is not realistic. The Basic Collaboration Training is only the start of our development. Some practitioners just are not ready for a collaborative case at that point. Trust. A key component of Teamwork in a collaborative case is trust. The professionals must be able to rely on each other as the case progresses and an imbalance in the Team can create problems for the clients. We cannot use the clients as guinea pigs. They are making a huge financial and emotional investment in their divorce. This is another reason that referrals are going to first go to a practitioner who, while perhaps not experienced in terms of cases, has shown they could be trusted as a team member. Time. It takes time for us to understand the work we do. Each of us brings our own story to our collaborative work. Some of us are litigators shifting to the work of peacemakers. Some of us are fresh out of law school and have never litigated. Some have changed careers to do collaborative work. What we do is a privilege, not a right. Once we understand that and are willing to do the work on fundamentals necessary to better understand the work we do, the referrals will start to come. POINT 3: SO HOW DO WE GROW OUR COLLABORATIVE PRACTICES? A Collaborative Practice will grow as the Collaborative Practitioner works on the little things. You start with the Basic Training. That training provides us with the basics of Collaborative Practice. Our first step after training is to start the process of improving our use of what we learned in our training. Of course this is a lifetime endeavor, but we have to start somewhere. We have to do these fundamentals over and over and over again. We need to role-play them. We need to read about them. We need to go to additional trainings, all with the aim of understanding those fundamentals better and improving our ability to use them. At some point that first case will come and we get to go “live”. Working a collaborative case we get to experience using what we have learned in action. At this point our learning and our growth takes another leap. We learn from our mistakes and our successes. We learn from the debriefs, when our team members critique what went right, what went wrong, and what we could have done better. And that experience leads to more questions at a different level because the lens through which we see our practice has changed, because we have experienced more of what we are trying to learn more about. This development, this “growth”, continues as long as we continue to have the passion for what we do as Collaborative Practitioners. Perhaps someone will succeed in growing their collaborative practice by building a nice office, by doing marketing aimed at collaborative clients, and using other resources to bring in collaborative cases. The majority of us, however, lack the financial resources to take that route and, to state the obvious, flash does not translate to a quality Collaborative Practitioner. Instead, we build our practices by mastering the fundamentals, building our practices block by block. Think again about the athlete. When you observe the athlete before all the training the athlete does not “look” like an athlete. They do not exude confidence, energy or strength. If we did a time-lapse series of pictures of the athlete the photographs would show a transformation. Posture would improve. Muscles would become more defined. The look in the athlete’s eyes will become more focused as the fundamentals they are learning become more integrated. The athlete will start to “look” more like an athlete. The same development happens with a Collaborative Practitioner committed to their craft. At the beginning they neither look nor sound like they know what they are doing. They do not know which foot to put in front of the other. They make mistakes. They do enough things correctly to stay interested in getting better. They start to let their instinct take over so the nature of their mistakes changes. They become more confident as they integrate the fundamentals of Collaborative Practice. Dialogue is a central component to the development of our Collaborative practices. The dialogue takes place at many different levels, with ourselves, with our clients, with our teachers and our students, and with other Collaborative Practitioners. Considered separately, there is a difference in each of the dialogues that take place because there is a different purpose for each of the relationships. Taken together, these dialogues all blend into what it means to “talk the Collaborative talk”. I spent longer with my lunch companion than I anticipated but I did not want to interrupt the natural flow of the conversation. As we started to reach the end of our talk a question started to form in my mind and before I asked it of my companion, I internally asked it of myself, and answered it almost immediately. The question is this: If you never had a Collaborative case, would you have any regrets about any Collaborative training done in the past and would you continue to do all things Collaborative, such as trainings, being involved in Practice Groups, reading and talking about books on Collaboration, having lunch with other Collaborative Practitioners, and continuing to explore Collaborative Practice? Returning to the athlete, the question would look like this: If you never won a race, game or match, would you still do the sport that you do? Whether a Collaborative Practitioner or an athlete, or both, the value of what we do extends far beyond getting cases or winning a race or game. There is excitement as another fundamental of the process is integrated into who we are. There is frustration when a fundamental is just outside our grasp. Just as an athlete breaks down their performance after an event into what worked, what did not work, and what could have been done better, the Collaborative Practitioner will never stop asking those same questions in order to better understand what we do. Our growth as individuals does not come from winning or losing, or resolving a case through the Collaborative process or terminating the case because the Team just cannot get the case resolved. Instead, the growth comes from the process itself, the learning about the fundamentals, the talking about what we are learning, and using the skills we are learning on a daily basis. My answer to the question I posed to myself and my companion is an emphatic yes. There is not a shred of a “no” in me when I think about the question. Ask yourself the same question and see what answer you have. Collaborative Practitioners who have taken the Basic Collaborative Training and 40-hour Mediation Training are starting the journey to find their individual Collaborative Voice. By “voice” I am referring to the way the individual communicates their commitment to collaboration to others, whether other Collaborative practitioners, family, friends, or members of the public. This communication could be oral, in writing, by action, or by other means. As an individual works on the fundamentals of Collaborative Practice and their individual Collaborative Voice, there will come a time when they have an opportunity to make the Commitment to Collaborative Excellence. By making the Commitment to Collaborative Excellence the individuals become full-fledged members of the team that is the Collaborative Community. Just as individuals have to work on fundamentals to find their individual voice, the Collaborative Community also has work of its own to do on the fundamentals that allows the Voice of the community to be heard. That Voice that you hear in your collaborative work is the sound of growth of individuals and the Collaborative Community as a whole. * The author acknowledges and expresses gratitude to Forest S. “Woody” Mosten for his editorial comments on this article and for his support and guidance as Mentor and Teacher. 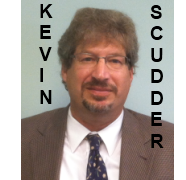 Kevin R. Scudder is a 1983 graduate of Hampshire College in Amherst, Massachusetts and of the University of Washington School of Law (1986). Since 1995 he has been working in Seattle, Washington as a sole practitioner with an emphasis on family law and estate planning. Kevin started his Collaborative work in 2007 and since then has been working to develop and refine his skills as a peacemaker within the collaborative model as a Mediator and Collaborative Attorney. Kevin was an Assistant Trainer for Woody Mosten for his January, 2012 40-hour Basic Mediation Training in Los Angeles, CA, presented on Best Practices at the CPW Annual Conference in Gig Harbor, WA in 2011, presented his Anatomy of An Elevator Speech at the 2012 IACP Forum in Chicago, IL., and has been part of the IACP Practice Group Development Committee presentations at the Chicago and upcoming San Antonio Forum. Kevin can be reached at www.scudderlaw.net. Apr28 Kevin R. Scudder Thanks for the tip. I will look him up. I’ve been practicing some meditation. There is a fellow who works exclusively in mediation/negotiation law. He has used meditation in his work. His name is BOWLING. If meditation would have a place in collaborative law a review of this man’s work might be useful. Thanks for the tip. I will look him up.